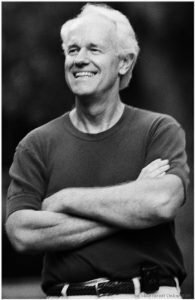 President of the Board of Death Penalty Focus, Mike Farrell is also spokesperson for Concern America, an international refugee aid and development organization, Co-Chair Emeritus of the California Committee of Human Rights Watch and, occasionally, a Good Will Ambassador for the United Nations High Commissioner for Refugees. Known to millions as “B.J. Hunnicutt” of television’s historic “M*A*S*H” and from NBC-TV’s “Providence,” he is also a writer, director and producer. A refugee aid and human rights activist for over 35 years, Farrell first traveled to the Thai/Cambodian border in 1980 at the end of the Khmer Rouge terror. In the following decade he took part in many aid missions and human rights delegations to El Salvador, Nicaragua and Honduras. After one of them he represented the delegation in testimony before the U.S. Congress. In the same period, delegations took him to the then U.S.S.R., Paraguay and Chile. At the invitation of the Government of Mexico, in April of 2000, along with Board Chair Steve Rohde, he testified as a representative of Death Penalty Focus before the Inter-American Court on Human Rights in a case dealing with the Vienna Convention on Consular Relations and its application to non-citizens on death row in the United States. In 2002 and again in 2004 he was part of delegations from the Center for International Policy supporting efforts to combat illegal logging in Central America, with a focus on Honduras and Nicaragua. A life-long opponent of the death penalty and an advocate of prison reform, Farrell has visited prisons and been involved in death cases across the U.S. for over three decades.